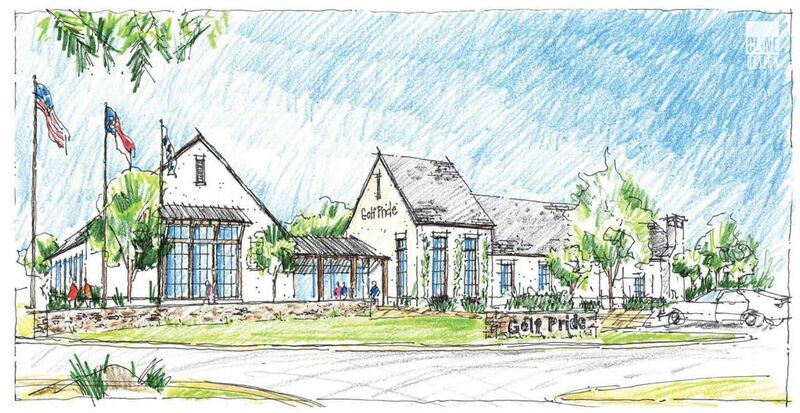 Golf Pride, a division of the international conglomerate Eaton Corp and the golf industry’s largest manufacturer of golf club grips, is building an $8 million, 36,000 square-foot building on 10 acres in Pinehurst to house their corporate headquarters, an R&D division, and a retail space. To be called the “Global Innovation Campus”, the facility will be built just inside the entrance gate to Pinehurst’s No. 8 golf course, also known as the Centennial Course. It will accommodate about 50 employees. The company currently employs 38 people, so the new location will mean the creation of new jobs. Golf Pride is partnering with Pinehurst Resort on the project. “I am very excited about what it will mean for the resort’s business but also for this community. We talk about places to live, work and play. This embodies all of that. It’s kind of a perfect culmination of that statement,” said Tom Pashley, President of Pinehurst Resort. Golf Pride makes club grips for a number of manufacturers, but it also makes them under its own name. About 80 percent of the tour pros use its grips. Ledford said they felt the site next to Pinehurst No, 8 would be a perfect fit for the company. “We think being right next to Pinehurst No. 8 will be a huge opportunity to connect with consumers who come to play. We think there are other things we can do beyond that to create additional experiences,” he said. Ledford said the company hopes to break ground before the end of the year and that construction will take about a year. Golf Pride is just one of many companies who have discovered the advantages of having a business location in Moore County.